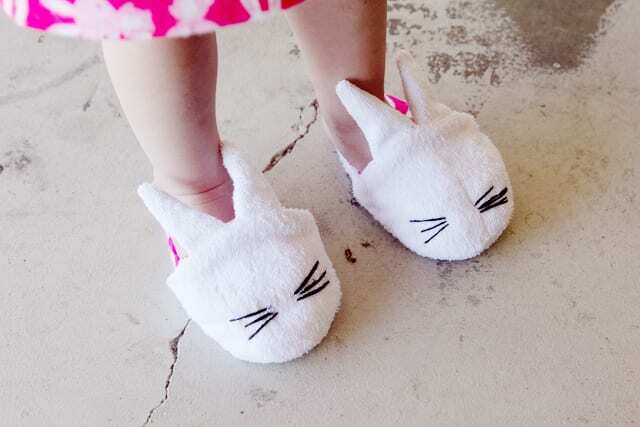 These bunny slippers are easy to make and really fun! This pattern should fit a good range of toddler sizes, probably around 7 to 10. They are so cozy and soft! You might want to take a look at this Bunny Silhouette Hot Pad Tutorial.